Established in 1976, our Drop-In Classes offers over 65 dance and fitness classes each week for ages 16 and up – there’s something for everyone at any experience level! Classes include Ballet, Contemporary, Jazz, Lyrical, Hip Hop, Tap, Latin Funk, Pilates, Stretch and more. Our superb amenities include world-class professional dance studios, hot showers, toilets and change rooms. Meet Dance Class Manager Ramon Doringo. Please note: Classes have a maximum capacity. To avoid disappointment and confirm your place, book online or via the Sydney Dance Company App. How do I attend a class? Purchase your Single Ticket or FlexiPack (6 Months) online. Alternatively, become a Member and enjoy the extra benefits of Membership. Please arrive 15 minutes prior to the start time of class and sign in at our reception desk to confirm your arrival before entering the studio. If you purchase a FlexiPack (6 Months), the receptionist will issue you with an electronic swipe card, which you scan before entry each time you attend a class at the studio. You can also download our Sydney Dance Company App to book and schedule classes. Tickets can be purchased in person from our reception desk and you can attend the class on a casual drop-in basis. The reception desk is open half an hour prior to the start time of each class. $160 – 10 FlexiPack concession (6 months) Can only be purchased at Studio Reception when providing valid Concession card (for example: Student ID, Seniors card, Ausdance membership, etc). Purchase a Dance Class Gift Voucher here. Any questions? Please phone 02 9258 4818 or email us. Follow #SDCStudios @SydneyDanceCo Facebook, Instagram and Twitter. Sydney Dance Company Classes are temporarily at Ultimo while vital renovations take place at our home in Walsh Bay. Read more about our renovations here. Don’t worry – you’re always welcome at Sydney Dance Company! We have a number of classes for complete beginners for you to choose from. And don’t worry if you attend a beginner’s class and see people who are strong dancers – they have been taking class for a while and just love dancing. After a few classes you too will start to pick up the choreography faster. Feel free to introduce yourself to the teacher and let them know it’s your first time. Stand somewhere you can see the teacher or follow someone in front of you. If you would like a more focused environment for your first class, then choose one of our popular short course. 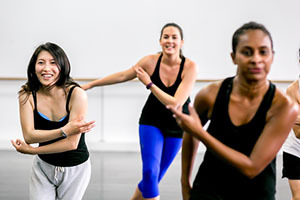 These 4- or 8-week courses are specifically designed for people new to dance or a particular style, or who just enjoy a slower pace with more direction from the teacher. Trying ballet for the first time? Enrol in Introduction to Ballet, our 4-week short course that will help you learn the basics. You can also refine your technique with an Introduction to Ballet 2 short course. Once you have completed the Ballet short course, you will be ready to attend the Ballet Beginner level drop in classes. Attend as many as possible to keep improving – it’s all about repetition and practice. Moving up to Ballet Level 1 can take a lot of practice over many months. So ask your teacher if you’re ready to move up. We have two drop-in beginner tap classes each week where you are welcome to come and try tap for the first time. You don’t need tap shoes straight away – a pair of leather shoes will work for the first few classes, and when you’re ready to get some tap shoes our teachers can advise on the right pair for you! During the year you can also join an Introduction to Tap short course if you’re looking for a smaller classes with more feedback and direction from the teacher. Attending dance classes is a great way to build fitness, flexibility and core strength. 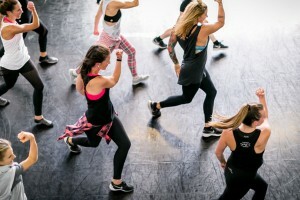 At Sydney Dance Company Classes, we have a number of workout classes which are 1-hour in duration, and are often scheduled before or after work or during a lunch break. These classes are fast and easy-to-follow, with less focus on technique and more focus on working out. There is no strict dress code at the studios, simply wear clothes you feel comfortable exercising in. Each style requires slightly different footwear and clothing – see Dance Styles for more information. Please be on time for your class as it is important to warm up properly to avoid injury. No student will be allowed into any class 15 minutes after the class has commenced. A warm-up is included in each 1.5-hour class. We do not provide a separate area or studio for you to do your own warm-up prior to the class start time. All mobile phones are to be switched off prior to commencement of classes. Photographing or filming all or any part of a class with a camera, mobile phone or video camera is prohibited for all students. Teachers may on occasion film sections of their choreography or take photos of the class for promotional and archival purposes with your permission. Sydney Dance Company does not allow any person to watch classes from inside or outside the studio, due to the safety, security, and comfort and ease of our students and teachers. Any person inside the dance studio at the time of the class must be participating in the class. Before attending a dance class at Sydney Dance Company, you agree to provide us with your full name, phone number, email address and next of kin contact details in case of emergency. All purchases are final, non-refundable, non-transferable, non-extendable and cannot be shared. Cash or Eftpos/credit cards are accepted for all purchases. No personal cheques. Tickets are valid for admission into any class at Sydney Dance Company. Tickets and Gift Cards are valid for 6 months from the date of purchase. The 6-month period is inclusive of any public holidays or closures due to the Christmas Holidays or Sydney Writers’ Festival. Lost class cards can be replaced for a fee of $5. Concession discounts are available for current Ausdance and Equity members, full-time students, Centrelink card holders and Senior Card Holders (ID required). Participation is on a first-come, first-serve basis and is not guaranteed. Teachers and classes are subject to change. If a class is cancelled or sold out you may be asked to choose another class. Sydney Dance Company takes all reasonable care in the conduct of its classes. By entering our dance studio you agree that Sydney Dance Company is in no way responsible for injury or loss caused during classes or whilst participants are at or near the studios. You are responsible for ensuring that you are physically and medically fit for the class and during the class you must take care at all times of your own personal safety. 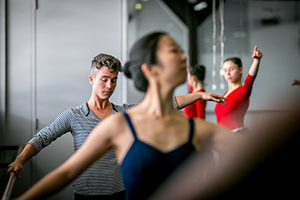 You must monitor the safekeeping of personal belongings while attending class, as Sydney Dance Company does not take responsibility for lost or stolen property. You understand that classes at Sydney Dance Company may be physically strenuous and you voluntarily participate in them with full knowledge that there is risk of personal injury, property loss or death. You agree that you will not sue or make any other claims of any kind whatsoever against Sydney Dance Company or its members for any personal injury, property damage/loss, or wrongful death, whether caused by negligence or otherwise. Patrons to the Dance Classes will be refused entry if thought to be under the influence of drugs or alcohol. if you are ill or need to leave in case of personal emergency. the class was cancelled due to an emergency or circumstances beyond our control. Sydney Dance Company will issue a cash refund provided a single ticket was purchased for $22 cash. Class card holders (i.e. you have purchased a FlexiPack (6 months)) will have the class refunded to their account. FlexiPack (6 months) purchases are final, non-refundable, non-transferable, non-extendable and cannot be shared. For Drop-In dance classes for adults, you can cancel your scheduled place in a class up to 2 hours prior to the start time. If you do not cancel within the 2 hour cancellation window, or fail to turn up and sign in for the class, a ticket will be deducted from your account. 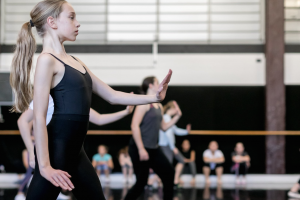 School Holiday Workshops, Master classes & Youth term classes can only be refunded if the cancellation is due to a medical reason and a medical certificate is provided. 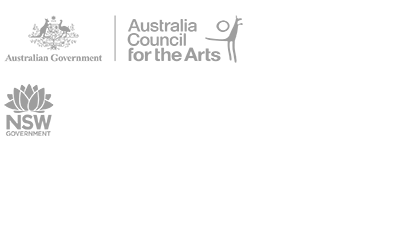 We do not provide refunds or transfer of funds for change of mind, personal circumstances or for any other reason under any circumstance. Sydney Dance Company respects your privacy. We are committed to protecting the privacy and security of personal information collected from our customers, suppliers and supporters as stipulated in the Privacy Act 1988. If you disagree with our online privacy policies as set out below, you should not use this website or provide us with your personal details. Your use of this website is deemed to signify your acceptance of these privacy policies. When and why your information may be requested: You can visit this website and access information without giving us any personal information. However, if you decide to attend a dance class, we require your full name, phone number, email address and next of kin details in case of emergency. We may from time to time, use your email address to send you class reminders, special offers and keep you updated with our activities. We pledge that any personal information we hold about our customers is kept safely and securely and will never be sold, given or shared with any third party. You have the right to access and correct your personal information and privacy preferences at any time. 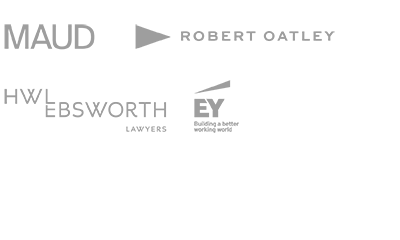 You can also unsubscribe from our email newsletters or have your name and address details taken off our database at any time. If you would like to update or delete your personal details, please contact Sydney Dance Company by phone on 02 9258 4818 or email us. 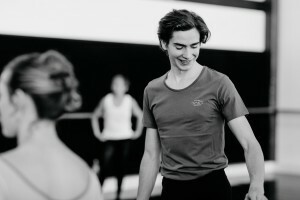 How do I purchase class tickets in-person at Sydney Dance Company? If I want to attend a class, what time do I arrive at Sydney Dance Company?